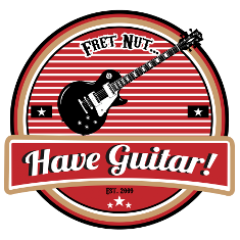 gibson sg standard 2016 high performance Archives - Fret nut... Have Guitar! Free stuff is nice but sometimes it can be really hard to dig out the good stuff, especially in a place like Rig Exchange – spend 5 seconds with each profile there and you have 992 hours in front of you! Yeah, well – that ain’t realistic and that’s how I came up with idea so showcase some of the free Kemper profiles that I like – maybe you will too! When I find one I’ll make a video on it if I like it. This time it’s another Marshall JTM50 from 1966 and this is the second time I feature that model on this feature. However, there’s a big difference between these profiles even if they come from the same amp model and that is what make’s them interesting to me! There are eight of these nice profiles available and in this video I’ll demo four them – leaving something for you to discover for yourself… So, again – a big thanks to David for sharing these fine profiles with us! And hey. if you like this video, why not subscribe to Have Guitar! Your support is more important than you might think and every sub counts. To all of you already subscribing – Thank You!!! To find these Kemper profiles; start up your Rig Manager, go to Rig Exchange and search for “Burns” and you will get all the profiles listed and ready to play! Have fun!